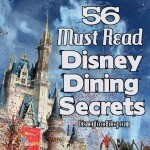 It is a great time to be a Walt Disney World Fan, and an even greater time to be a Disney Food Fan! There has been a truly dizzying array of really unique, inventive food to come down the pike over the last year, and we can’t wait to hear what YOU think about it. 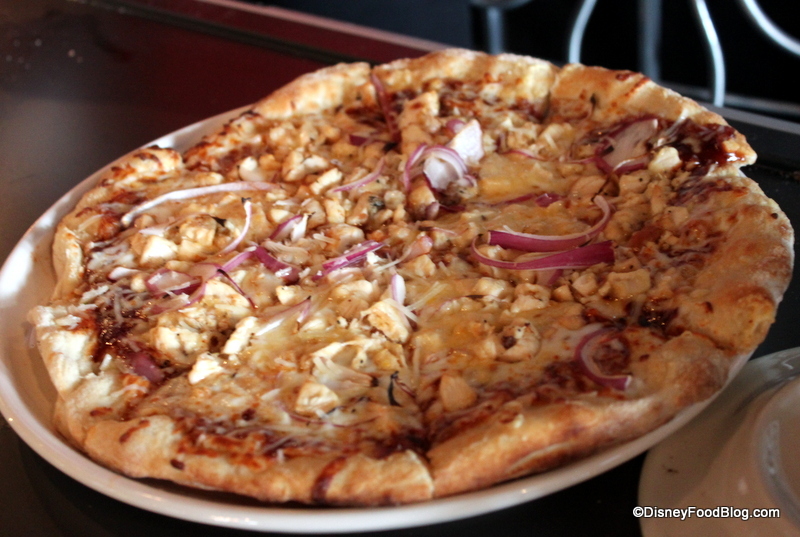 Since we are all about the eats in these parts, I thought I’d give you my two cents on the 5 Things You’ve Gotta Try at Walt Disney World in 2013 — Food Edition! Let’s do it! If you haven’t had the chance to stop by Tutto Gusto, the new wine bar that opened in Epcot’s Italy Pavilion last summer, I heartily recommend you get there, asap! Following on the heels of the success enjoyed by its Mexican cousin, La Cava del Tequila, Tutto Gusto adds even more eats. Not only can you find an extraordinary assortment of Italian wines and beers, but there is also a wonderful menu of small bites to choose from. Even non-wine drinkers can find plenty to love about this spot, which feels like it was just transported to Florida from Italy. Italian Cheese and Sausages? Sign me up! 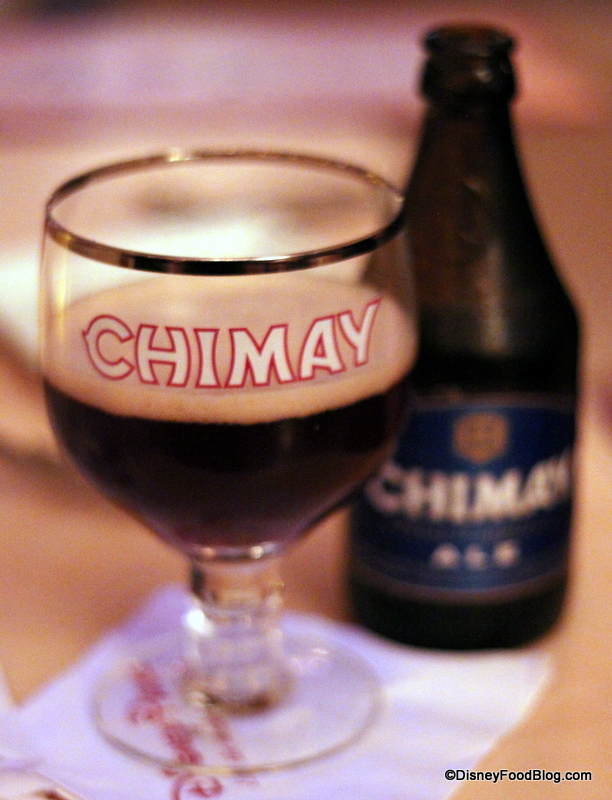 Stop in for a glass, some cheese, or even heavier pasta or panini options. 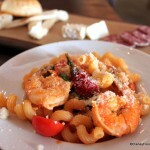 The full menu from Tutto Italia next door is available here, too! Or grab a fabulous dessert and a glass of Moscato. You won’t be disappointed. 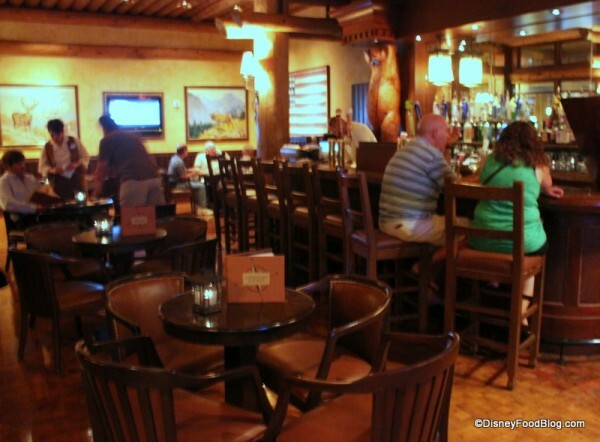 When I need a break from the hubbub of the parks, one of my favorite places to relax and grab fantastic snacks is the Territory Lounge in Disney’s Wilderness Lodge. Seldom crowded and always friendly (and cool!) I always leave this spot wanting to return as soon as possible. Note that you can also get the fan favorite Artist Point Berry Cobbler in here, too! For delicious noshing and Moosehead on draught, Territory Lounge can’t be beat. When plans to build Be Our Guest Restaurant were first announced, people speculated about the setting…and whether or not Lumiere would serenade guests…and what the menu might be like. But my first question? When will we finally get to try The Grey Stuff?? If you’re familiar at all with the song “Be Our Guest” from Beauty and the Beast (and I know you are), then you know just what I’m talking about. 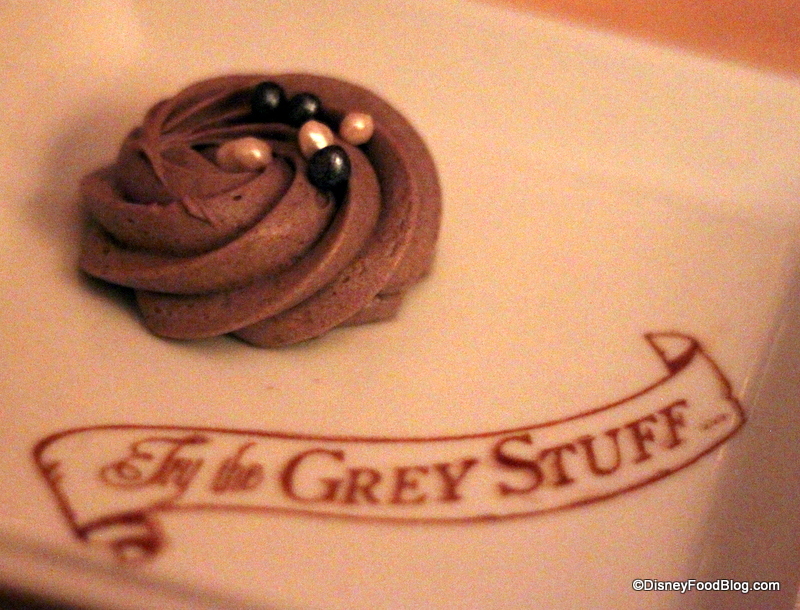 And I was beyond thrilled when I got to try The Grey Stuff at my very first dinner at Be Our Guest! The Grey Stuff -- It's Delicious! This silky cookies-and-cream panna cotta is not to be missed! Since it’s only brought tableside when you’re celebrating, I heartily recommend that you have a birthday or anniversary, toute de suite! 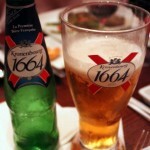 And when it was announced last year that Be Our Guest would serve a selection of beer and wine befitting its French menu, some balked, and some cheered. But almost everyone agreed that you couldn’t have a serious French restaurant without a wine menu. So, for the sake of novelty and if you imbibe, we suggest that you order a glass of wine or beer with your dinner at Be Our Guest as well. I mean, those were Champagne corks popping in the song, remember? Over-the-top fun is the name of the game at Walt Disney World — it’s a playground for kids and grownups alike that’s unparalleled anywhere else. 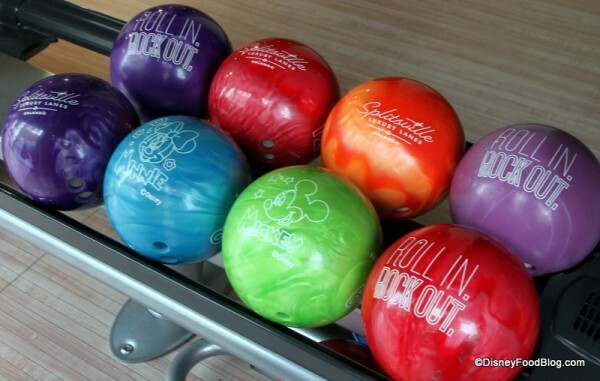 So wouldn’t you expect a bit more if Disney announces that it’s building a bowling alley? From the enormous posh interior, to the upscale pub grub, this newest recreational venue, located in Downtown Disney Westside, is sure to please every single member of your group with bowling, billiards, dancing, drinking, and dining. Don’t forget, even if you have the kiddos with you, there are family-friendly locations to bowl even in the evenings! With a menu created by Food & Wine Magazine notable Chef Tim Cushman, your pizza (and sushi, and sliders, and more!) never tasted so good. Another big milestone that we waited for in 2012 was the opening of the brand spankin’ new Art of Animation Resort. The first value resort to offer nearly all of their rooms as suites, Disney finally utilized the land that was once earmarked for the second half of Pop Century Resort. When the first phase of the resort opened last spring, one of the biggest news makers was the incredible Landscape of Flavors food court. And from my very first peek, I was intrigued by the Cheesy Pesto Bread. I quickly put it on my must try list. And. With. Good. Reason. This is amazing stuff and an amazing value. Which is pretty much the nexus of Disney food euphoria. No matter where you are staying, you still need to pencil in a trip over to Landscape of Flavors. 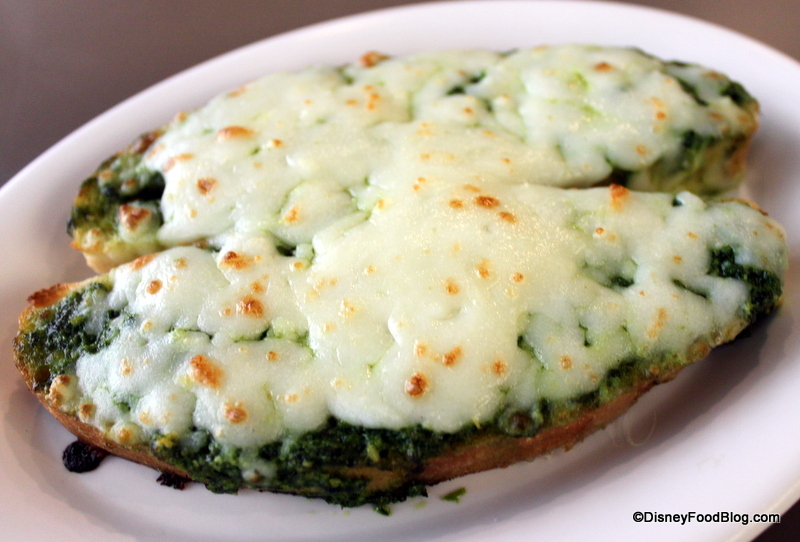 The Cheesy Pesto Bread (and just about everything else on the menu at Landscape of Flavors) is THAT good. Well, that’s my list of just a few of the things that you must try in 2013. Of course, don’t forget that pork shank at Gaston’s, Starbucks at Main Street Bakery, and the new Les Halles Bakery in France! 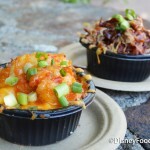 What are your must-have Disney foods for 2013? Leave a comment and let us know! The cheese pesto bread, Tutto Gusto and Splitville are all on my MUST DO’s list. I’ve been craving the pesto bread since I first found out about it! 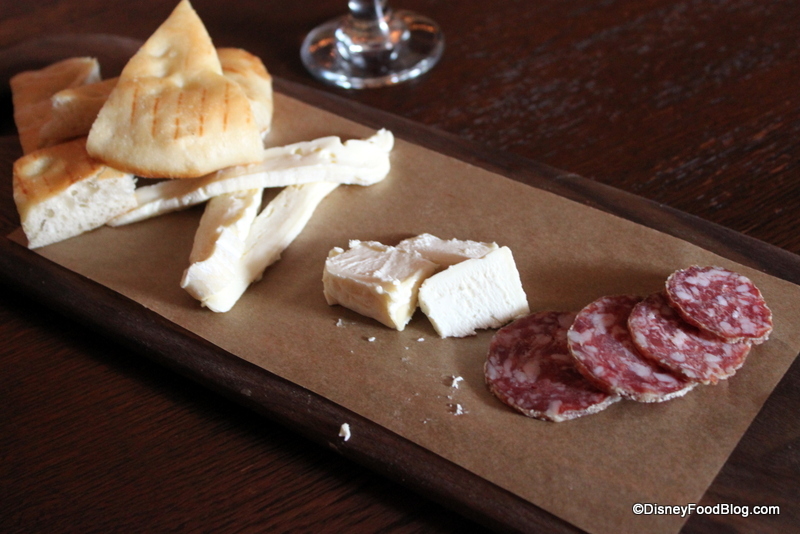 I was surprisingly impressed by the new Disney bar menu that made it’s debut in 2012. Granted, it’s still a standard menu across property… I’d love to hear your thoughts on it. As if I needed five more reasons to get down to WDW this year. But maybe I’ll need five more days there. We enjoyed “The Grey stuff” while celebrating the Goofy Challenge during WDW Marathon weekend. 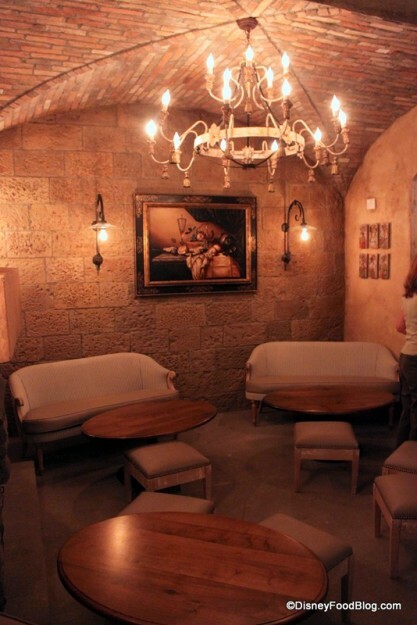 It was such a nice atmosphere…we loved Be Our Guest restaurant! I’d recommend the surf and turf burger at Art of Animation as well. Colette — They’re being so stingy with the gray stuff at dinner, I highly doubt it will be available for lunch anytime soon. If you find a sympatheic cast member, though, you should ALWAYS ask! Never hurts! Or ask to speak to a manager and tell him how much it would mean to you to celebrate with the gray stuff. Gina — Oh no!! What an annoying outcome to a great meal! I’m getting the feeling that they’re under a lot of pressure to NOT serve it for some reason, but I’m so glad you convinced him! Thanks for sharing your experience. Victoria V. — It’s awesome! I’ll send out good vibes for a quick return for you! Alan — Ha ha!! I think this is a great reason to extend your trip. And when are you and the missus coming to one of our Snack Attacks?? Pam — Hooray!! Congrats on your Goofy Challenge!! 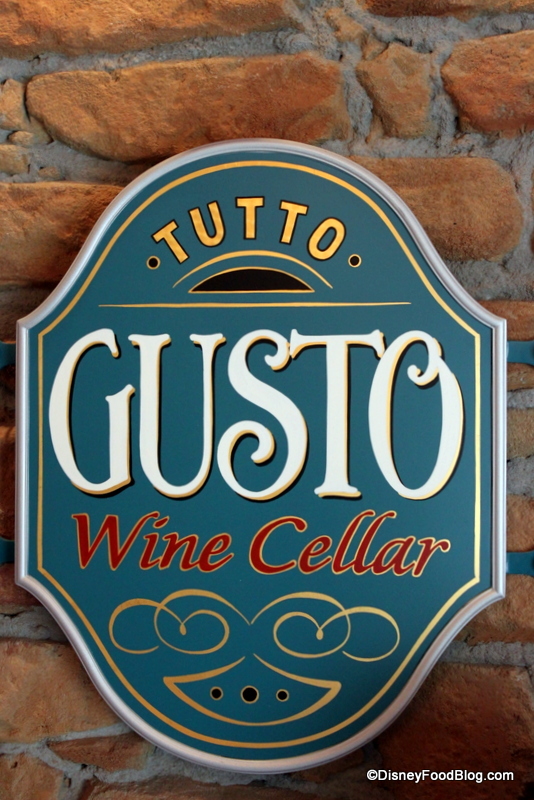 I ate at Tutto Gusto twice in my four day trip last fall. It was such a relaxing atmosphere, and we had the same waiter both nights who was helpful and fun. The first night, I had a wine flight and a small portion of pasta from their menu that was heavenly. The second night, I went for wine flight number two and the alfredo from next door. It came out SO fast, and it was so great. I would eat here every night of my trip if my family would let me! Had a wonderful dinner at Be Our Guest at the beginning of the month. We got The Grey Stuff for our anniversary celebration. We loved it, as we were not impressed with the other desserts. One of our sons suggested they should put the Grey Stuff in the cream puffs. We were so full from the wonderful meal that it didn’t matter much that the desserts didn’t seem up to the standard as the rest of the meal. We left very happy and have made another reservation for June for my neice’s 18th birthday and high school graduation celebration!! Great list AJ…I plan on hitting Tutto Gusto and Splitsville here in the coming months! Can’t wait! We were at Be Our Guest and our waitress offered The Grey Stuff when I asked about it. (“I hear the grey stuff is delicious!”) We were not publicly celebrating anything. Thanks AJ, I will ask 🙂 we will be celebrating 2 special occasions on different days. Also my friend is a manager at DAK and she said the Be Our Guest is so over booked that they hope people will cancel so they can seat people who have reservations. I have never seen the Berry Cobbler on the menu at the lounge. Is this new or do you have to ask for it. We stay at the Villas at Wilderness Lodge every trip. I hve spent a lot of time at the lounge and even as takeout. I use to love the wings from there too bad they are not on the menu anymore. Thanks AJ I knew about the wings they just changed them…. Cant wait to try the cobbler…. june is a long way off…. I had the eggplant caponata when I visited Tutto Gusto on New Years Eve. It was absolutely amazing! Even though I was by myself I had an fantastic meal at Tutto Gusto. It is now on my must-do list. Alicia, let us know if you are able to get it at lunch. Taking our daughter for her 8th birthday and we were hoping to celebrate at Be Our Guest but couldn’t get reservations. Hoping to go for lunch instead and would love to try the gray stuff! 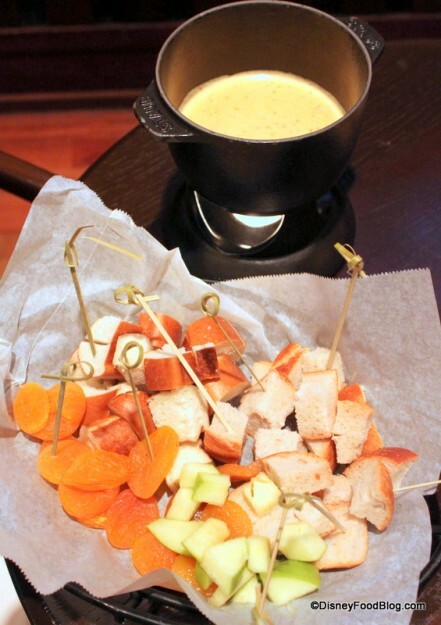 I was just curious what the price was for the fondue?? 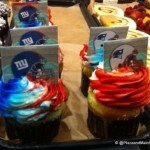 It looks delicious!! The Zebra Domes at The Animal Kingdom Lodge quick service venue are AH-mazing! I wish I had not waited until the last day to try them! They count as a snack on the meal plan too! I will be going to get them every day that I’m there next time lol! They are made with this awesome African Liquer that I had tried just before going to DW!